Home | Mises Library | Why Is Capitalism So Unpopular? Why Is Capitalism So Unpopular? Henry Hazlitt once said that good ideas have to be relearned every generation. Among the intellectuals of our time, capitalism is wildly unpopular. This in spite of the fact that it is the only social system that has permitted prosperity and flourishing. 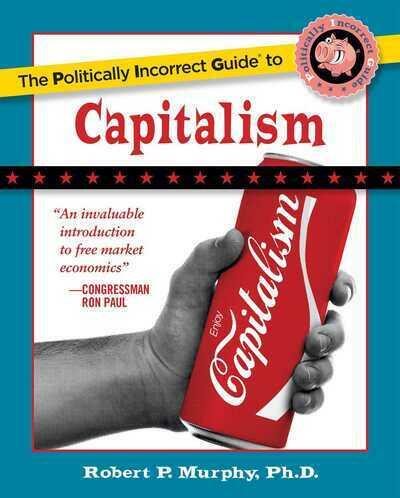 I think there may be a more straightforward explanation that plays a role in their dismissal of capitalism. To a "man of system," to borrow Adam Smith's terminology, capitalism just isn't that exciting. Participants in the market economy are wholly beholden to consumer wants. The academics envision a grand world, where Great Men fight Great Wars, periodically inventing Great Things or developing Great Ideas. Instead, the market provides us with incremental processes, which expend enormous piles of resources, in a quest to make better Triscuits. It is hardly the stuff of high drama, to say nothing of Great History. Under capitalism, the common man does not need an intellectual vanguard or a group of virtuous surrogates to make his decisions for him or to defend him against the rapacity of his fellows. He can do just fine without our help, thank you very much, and would be much obliged if we would go back to our ivory towers and leave him alone. The idea that great statesmen are not needed — to say nothing about being wanted — can no doubt be galling to many who decry capitalism for its excesses. For the people who derive their self-worth from being paternalistic, this is a sorry state of affairs indeed. According to the do-gooders whom Adam Smith called "men of system," the average person is like a piece on a chessboard, to be arranged at the whim of a supervirtuous planner. The planner, who ignores the fact that each of the pieces has (as Smith put it) its own "principles of motion," does his best to orchestrate a game according to his own rules. Dissenters are not tolerated. Yet people are not chess pieces, to be moved around at will. They are living, breathing, acting, thinking, rational beings with rights and dignity. Respect for their humanity rules out interventions by do-gooders, no matter what their intentions. The result of denying people their fundamental freedoms can be terrible, as the horrors of humanity's 20th-century experiments with collectivism have shown. The statesman who should attempt to direct private people in what manner they ought to employ their capitals would not only load himself with a most unnecessary attention, but assume an authority which could safely be trusted, not only to no single person, but to no council or senate whatever, and which would nowhere be so dangerous as in the hands of a man who had folly and presumption enough to fancy himself fit to exercise it. The unfettered market does not have much to offer the grand social visionary. It shows that his schemes are quite literally impossible, because he has no specific faculty which clearly demonstrates that we should trust him "to direct private people in what manner they ought to employ their capitals." In the absence of market prices or supernatural insight, our surrogate statesman has no standards by which to evaluate which patterns of capitals will most effectively satisfy human wants. Thomas Carlyle famously called economics a "dismal science" because of economists' opposition to racism and slavery. Many mistakenly believe that it was called a "dismal science" because of the implications of Thomas Malthus's model, which said that in the presence of a fixed factor of production, human reproduction would outstrip our ability to produce food. I submit that still others view economics as a dismal science because it gives the lie to the grand schemes of the men of system. Those who plan grand schemes are wrong when they assume that, in the absence of such plans, chaos, disorder, and misery must set in. I agree with Walter Block, who often argues that the order produced by the unfettered market economy is indeed a thing of beauty. This order is not, however, a machine to be tinkered with or fine tuned. It is an array of social relationships, which are of a literally incomprehensible complexity. And yet, when free people are left to their own devices, order emerges. The fundamental problem with government intervention is not that our leaders lack sufficient wisdom to guide the global economy. The fundamental problem is that such wisdom is impossible. The science of human action has very clear implications about what can, in fact, be known, and it therefore places very sharp limits on the potential wisdom of the man of system. Radical schemes aiming at creating utopia are doomed to failure — or worse — and this is indeed disheartening for the critical idealist. Yes, some might look down upon capitalism because it is at its heart about the search for a better, cheaper Triscuit rather than "nobler things." But it delivers the goods, and it does so in abundance. Interventionist alternatives do not. Adam Smith, An Inquiry into the Nature and Causes of the Wealth of Nations, Edwin Cannan ed. (London: Methuen & Co., Ltd., 1904), Book. IV.2, cited on on www.divisionoflabour.com.